The traditional Indian farming has at best been ad-hoc. Seeds are strewn across fields in random fashion with no consideration as to how many plants will grow in a given area. Irrigation depends mostly on the monsoon, and where water is available, it is flooded into the fields. Fertilizers and crop protection chemicals are used excessively, killing the soil's productivity. It is difficult for Indian farmers to adopt precision farming because of the high cost of technology and because, for the most part, farm holdings in India are highly fragmented. Maharashtra is already known for its farm crisis and reports the highest number of farmer's suicides in the country. 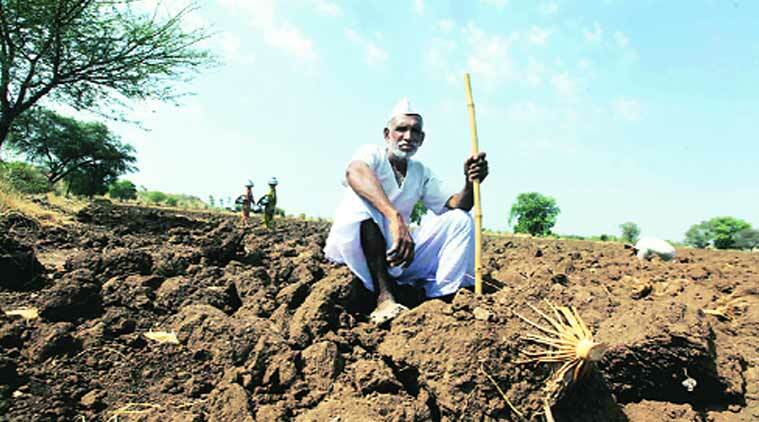 The drought — brought on by a delayed and inadequate monsoon — is set to deepen the distress for its cultivators. Also, the cost of agricultural machines and bullocks increase the problems in a drought like situation in Maharashtra. To enhance the crop production by way of versatile agricultural machine, a 33-year-old Maharashtra’s Beed farmer Namdeo Radhakrushna Anerao has invented a multi-purpose agricultural machine which could satisfy the most of the farming requirement. He is a marginal farmer and owns two acres, was into fabrication job for the past 15 years. The idea of inventing this machine came when he was started facing multiple problems such as labour and cost of buying bullocks he decided to invent a machine to solve general issues ailing farmers, especially marginal land holders in the region. Most of the farmers in his area either do not have their own bullock carts or are unable to bear the maintenance cost after incurring huge losses due to drought-like conditions. This machine could be used for various agricultural purposes, bringing much-needed respite for several farmers. Samazdar Shrikan – name given by Anerao for this machine, costs around Rs. 56,000 and has three attachments and could be used for multi-purpose agriculture work such as weeding out grass, ploughing, sowing seeds and mixing soil with fertilisers as well as manure. He has also bagged a patent for his product. "The machine runs on kerosene as well as diesel. It can plough around two hectares in seven litres of diesel. A farmer has to spend between Rs 50,000 and Rs 1.5 lakh for a pair of bullocks depending on their quality. They also have to spend about Rs 3,000 to Rs 4,000 per month for maintaining the bullocks in the form of fodder, medicines and even water," he said. "Taking the efforts put in by Anerao, his family background and his innovative thinking into account, the Chamber of Marathwada Industries and Agriculture (CMIA) has extended financial support of Rs 1 lakh to him and also assured him of further help through our innovation cell," said Ashish Garde, president of CMIA, as reported by TOI. His story will continue to keep common man’s hope alive that determination and hard work can change their destiny. Also, it motivates others to fight against adverse conditions and create an long lasting solution for betterment of the people.